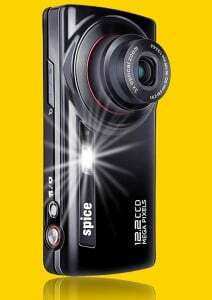 Spice Mobiles Ltd has heralded a new chapter in the history of Camera Mobile phones by announcing the launch Spice S-1200 the Mobile Phone with a 12.2 mega pixel camera with Professional CCD Sensor with 3X Optical Zoom and 9X Digital Zoom with advanced camera functions at Rs.14,500. Spice S1200 equiped with 2.4 inches screen, 12.2 MP camera with all advanced camera functions such as multiple face detection, smile shutter, auto focus, anti-shake, xenon flash and 24 preset capture modes including text capture mode. The handset power packed with all Multimedia features feteres like Bluetooth connectivity, FM radio with scheduled FM recording, Currency Converter, Java games and applications. 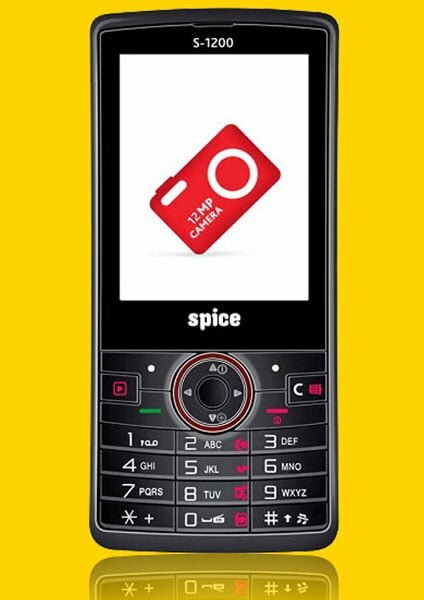 It has 70 MB internal memory and expandable memory up to 32 GB .The Handset also comes with audio/video cable by which user can easily attach the mobile to their TV sets.The Phone has 1000 mAh battery for up to 3 hrs talk time and up to 150 hrs standby time. As we earlier share on TelecomTalk Spice Mobile roped in actress Sonam Kapoor as its new brand ambassador to endorse the Brand Spice amongst Indian Youth.